It’s one thing to say the colonists wanted freedom from England, but students should learn just why it came to that. What changed from the early 1700s to 1776, when the Declaration of Independence was signed? 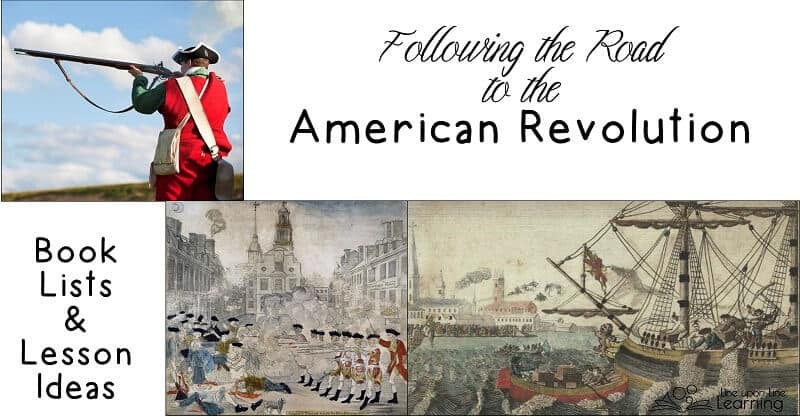 As students look at the perspectives of various characters (real or not) from history, they will gain a better understanding of what the reasons for the American Revolution were. As one site I link to below mentions, the French and Indian War is an “unfortunate” but “essential” part of understanding the road to the American Revolution. It is unfortunately because it is not all that exciting. But it is essential because understanding the frame of mind of the British settlers as well as the Native Americans and French traders helps frame the history of America for the half of a century. For those wanting to explore the French and Indian War (which was a part of the European-based the Seven Years’ War) in an elementary setting, the most interesting idea I found was to read or act out the perspectives of various players in the developing history of America. See Educated Teacher’s lesson ideas to see details. The Detroit Historical Society also has a multiple perspectives lesson plan to spark discussion. Susana Boyd, a young woman in Virginia, hoping to settle on her own land in a new place when she marries. Movies and books for the young elementary crowd are also few. Here are somethings I did appreciate the most. In addition to the early reader version of The Last of the Mohicans, I enjoyed the Scribner’s abbreviated illustrated version . It takes excerpts of Cooper’s original text but illustrated by N.C. Wyeth in an abbreviated format. The French and Indian War could be studied in details as one learns of the various battles, such as the siege of Quebec. But, for young elementary, the fact that the battles happened is more than enough details. Here are some more ideas from around the web. Act out the French and Indian War: one group wears matching red shirts/coats/scarfs and marches in a line, ready through “snowballs”. The other group hides behind desks, chairs, or (if outside) bushes and trees throwing snowballs at the Redcoats. Based on this activity, why do you think General Braddock generally failrf in the early frontier battles? Have you ever played “RISK”? Make a three-player version using maps of where the French, British, and Indians had strong holds. 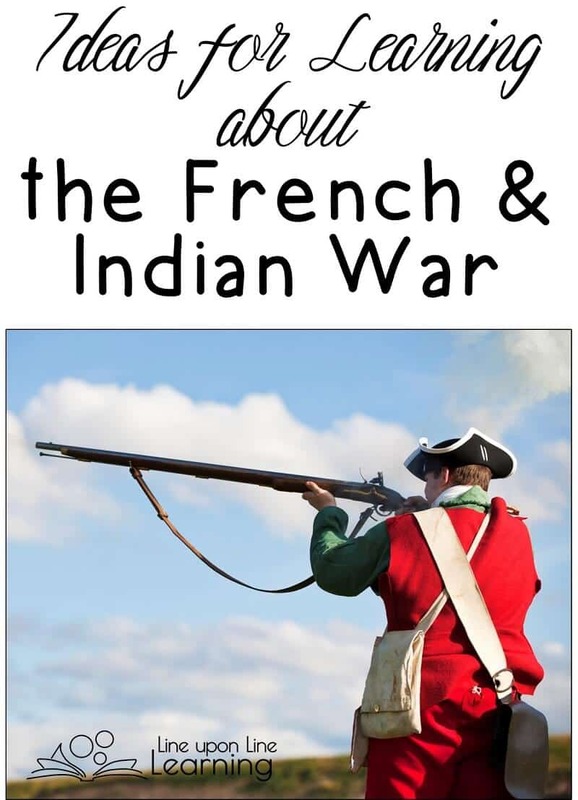 The French and Indian War is directly related to the American Revolutionary War because after the British spent so much money in defending the land in America, the British decided to take a more active role in America. The Proclamation of 1763 limited settlement beyond Appalachia. More British Redcoats were present, and of course the taxes were raised in order to pay for those soldiers and all of the war. Britain was greatly in debt. Understanding those connections is essential to understand why American were so frustrated: for 100 years, they’d had few taxes and little oversight from London. Now there was a lot of oversight and unreasonable taxes. The Boston Massacre, so called by the media of the day, was more of a mob attack by angry colonists on British soldiers. I wouldn’t have envied either sides of the argument that night. There is a reason why Patriot John Adams defended the British soldiers: being surrounded by people who are angry at you is a situation no one would envy. Look at eyewitness accounts of the Boston Massacre. (See a lesson plan version for older students.) Reading different perspectives may help your students come to their own conclusions. 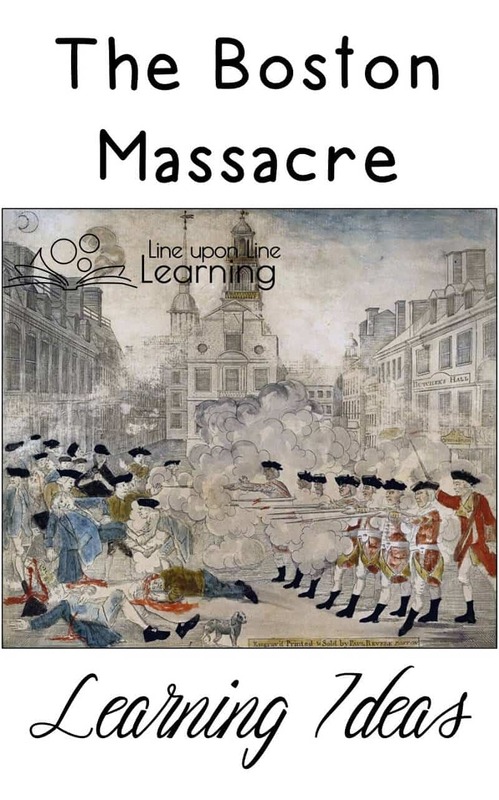 Here are books and activities for understanding the frustration with taxes and the conflicts such as the Boston Massacre. See more of the reasons these led to Revolution with creative toys to demonstrate. The next most important precursor to the American Revolution would be the Boston Te a Party, in which the citizens of Boston showed its outrage. To help your students understand why the citizens were so mad, demonstrate Taxation without Representation with candy. (Here is another version.) 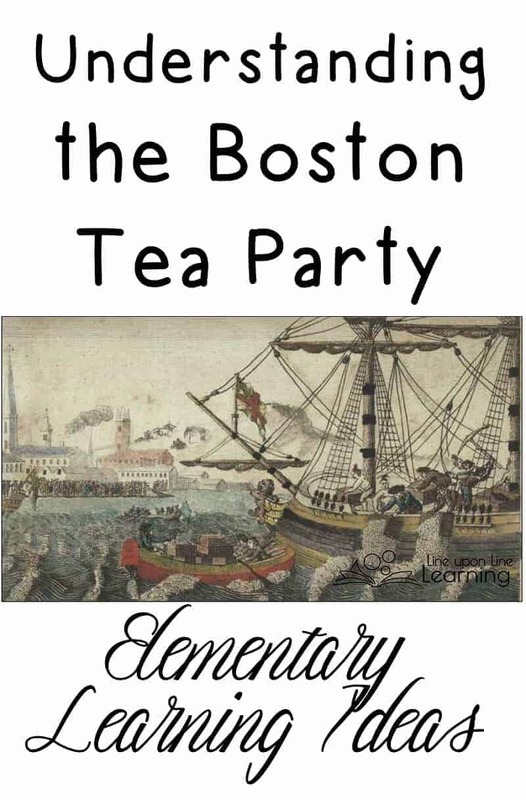 Once the students understand the anger involved, explain how the Boston situation unfolded: the citizens had refused to buy tea for some time. They did not want the city of Boston to pay a tax on that tea. Meanwhile, the port of Boston was told they must unload the tea from the ship in harbor. No one would let them. Hence, to show their anger without violence, the citizens of Boston dumped the tea from the ship into the harbor. The king was so angry at their refusal that he closed the entire port of Boston, which would have impoverished everyone who depended on the port for economic support. How would your students feel if your “king” took all the candies because he was angry? Would it make them happier or even more mad? Stay tuned for the next chapter in American history tomorrow! 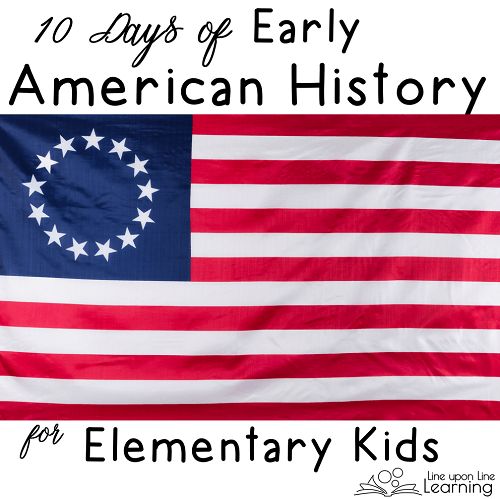 See the 10 Days of Early American History for Elementary to find the next lesson!